Byron and Dana Dooley own Luminous Hills Vineyard, a unique 12-acre, high elevation site in the southwestern corner of the Yamhill-Carlton District. The vineyard contains both sedimentary (65%) and Jory volcanic soils (35%), with clones planted to match the different soil types. There are six different blocks containing Dijon clones 115, 667, 777 and Pommard clone. The vineyard is sustainably farm, certified LIVE and Salmon Safe, and non-irrigated. When I recently visited the vineyard on a sunny afternoon, Byron told me that his property was part of 30 acres owned from 1978 to 1985 by Steve Jobs, the co-founder of Apple. Coincidently, both Dooleys attended the same high school as Jobs, Homestead High School in Sunnyvale, California. The Luminous Hills Vineyard is beautifully manicured and breathtakingly beautiful. I would even go so far to say it is the most stunning Pinot Noir vineyard I have ever seen. As I walked the vineyard with Byron, I was taken by the many vistas on the undulating property and the serenity of the site. 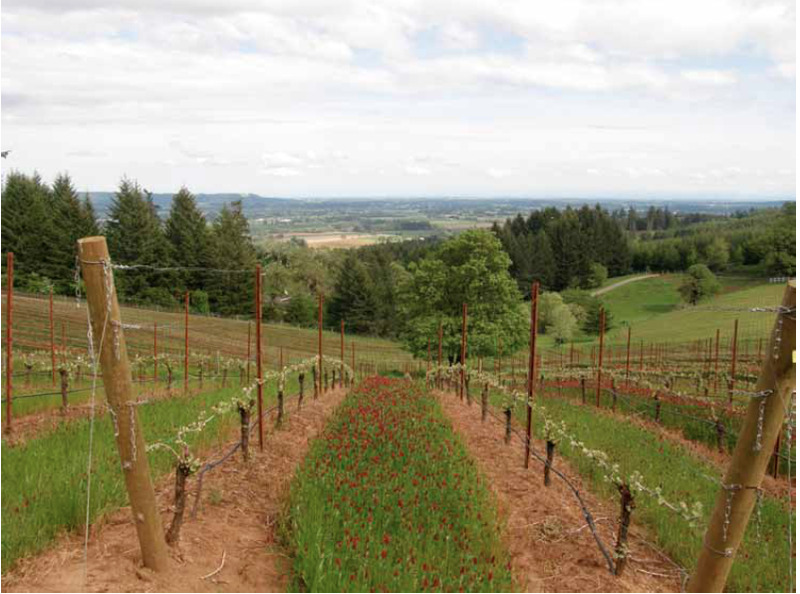 The red thistle grown in alternate rows as a cover crop was in bloom, creating a palate of color between the vines. Even Byron was touched by the scene that day and both of us shot many photographs. In 2000, the Dooleys sold their house when the internet bubble burst in 2000, left their Silicon Valley jobs, and moved to Napa Valley’s Howell Mountain. Byron earned a viticulture and winemaking degree at Napa Valley College, interned at Williams Selyem, and made his own Bordeaux-style wine from Napa Valley fruit. In 2004, after Dooley graduated, the couple bought a property in the Yamhill-Carlton District and developed Luminous Hills Vineyard. Dana opened Honest Chocolates in McMinnville, selling traditional style chocolates, and later opened another branch in Carlton which shares space with the Seven of Hearts tasting room. Luminous Hills wines are poured at the Seven of Hearts Wine Center in Carlton. 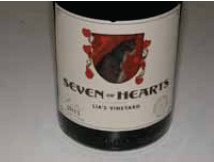 Seven of Hearts Wine is the Luminous Hills companion label featuring multiple varietals made from sourced grapes grown in several Willamette Valley and neighboring regions. Two additional sub-labels of Seven of Hearts, are Chatte d’Avignon, a lineup of Rhone varietals, and Chateaux Figareux, a number of Bordeux varietals. 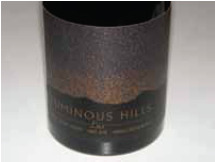 The inaugural vintage for Luminous Hills wines was 2008. 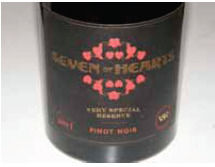 The label on the Seven of Hearts wines has neo-classical elements, symbolizing the Dooleys’ passion for the traditional Burgundian style of Pinot Noir. Seven of Hearts wines and Luminous Hills wines are sold on the respective websites: www.sevenofheartswine, www.luminoushills.com. The Seven of Hearts wines are well-crafted and easy to like, while the Luminous Hills Pinot Noirs are very special expressions of one site. The following wines were tasted with Byron at the Seven of Hearts Wine Center in Carlton. Byron noted that 2013 was “crazy,” in that the summer was hot, ripening was progressing normally, and then a big rain event occurred at the end of September. The 2013 wines here were made from grapes that were mostly picked after the rain. Luminous Hills is a late ripening site and benefited in this vintage because the grapes were able to hang past the heavy late September rains without damage to or dilution of the fruit.